The Labour Party have put out an advert online that invites Lib Dems upset about the coalition government to ‘come home’ to Labour. The headline and accompanying visual pun, using the Liberal Democrat logo, is very clever. I’m not sure how effective a piece of communication it is, as Lib Dems – however disaffected – would take a while to think of Labour as ‘home’. But hey – it’s funny, will rile the coalition and amuse the Labour faithful. Actually for many of them it is very clearly “home”. Many of the Lib Dem members are defected Labour members. The Social Democrats and the Liberals merged to make the Liberal Democrats which took a lot of Labour and Conservative defectors. 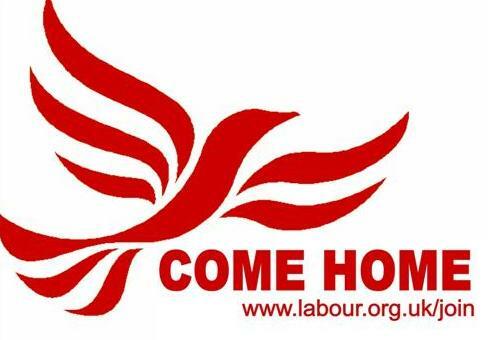 The advert is appealing to many of the Labour defectors to “come home”. Additionally the Lib Dems are left wing and Cons are right wing, while Labour are Centre-Left… Now taking “Red Ed” is very left wing, both parties can be seen as “coming home” to left wing politics.